Head coach Luke Swindlehurst is relishing another test against Manchester United and heaps praise on counterpart Casey Stoney. 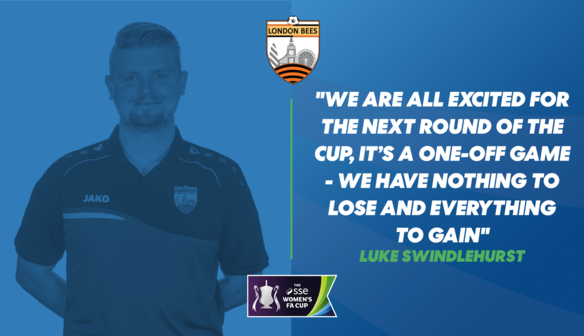 Bees boss Luke Swindlehurst says the beauty of football is there’s always a chance to put things right. "I’m looking forward to another chance to play against Manchester United. "I like how Casey has gone about things, she’s direct and knows what she wants. "She has put together a strong young team who have been excellent for her this season. "It’s not easy to build a team from nothing and I know this as I’ve had a similar situation in the past. "In 2013 being involved with Liverpool Ladies, Matt Beard and staff had to set about building a whole new team and that eventually won the WSL 1 in its first season. "A similar thing is happening here for Casey in terms of the Championship and I can also see continued success into the WSL for Man United as the backing is there to progress to the highest level. "As for us, we are now very confident from recent results we have been achieving and the players returning from injury has given us a massive boost. "The players are excited for the next round of the cup and so am I, it’s a one-off game and we have nothing to lose but everything to gain. "The preparation for this game must be right however and it’ll need everyone to be fully focused as mistakes are punished against the best teams. 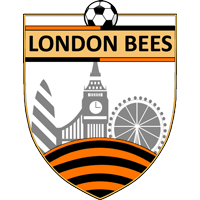 "London Bees have made it into the fifth round for the first time since the clubs name change and will be looking to give everything possible to achieve a positive result."